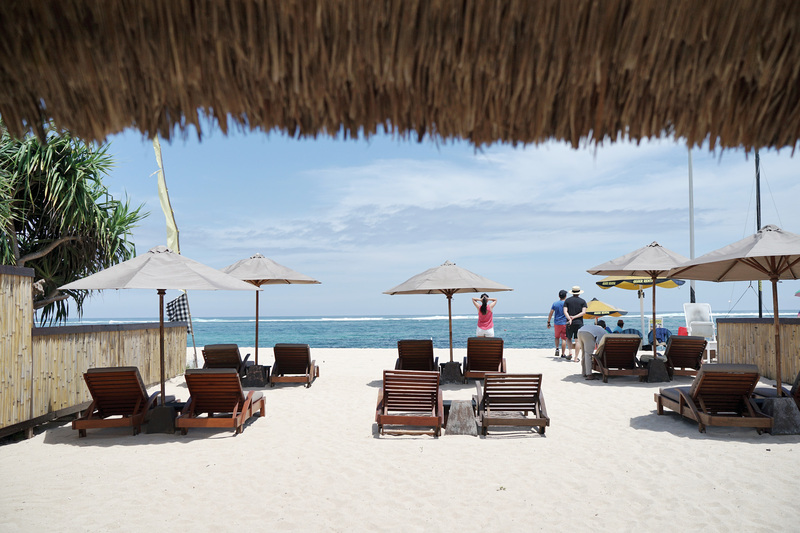 Everything in Bali always seems a little brighter and laid back for obvious reasons. The weather, the people, and the vibe take everyone who steps into the island to a holiday mode. This is one of the reasons why I visit Bali every now and then (apart from the fact that almost every couple around me got married there). Another fact is: I love playing dress up with such a vibe in Bali. You can never go wrong with flowy outfits here. So for the outfit of the day, I kept a colorful theme by wearing this printed top from CÄLLA Atelier. To tone down the bright and hot weather, I think the deep blue shade is a perfect choice. This asymmetrical top also has some sort of ‘tail’ at the back that creates a flowy silhouette, matches the tropical vibe. I paired it up with denim shorts and gladiator sandals.